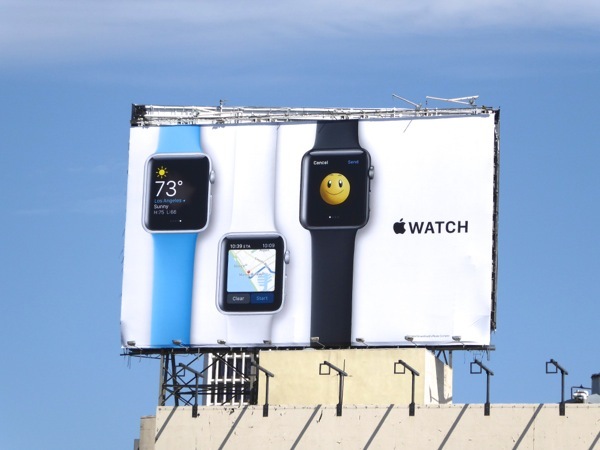 The technology giant may have released its Apple Watch back on April 24, 2015, but now that there's been time to iron out the initial kinks in the smartwatch and with the gift-giving season fast approaching, there's never been a better time to launch the device in the city skies. 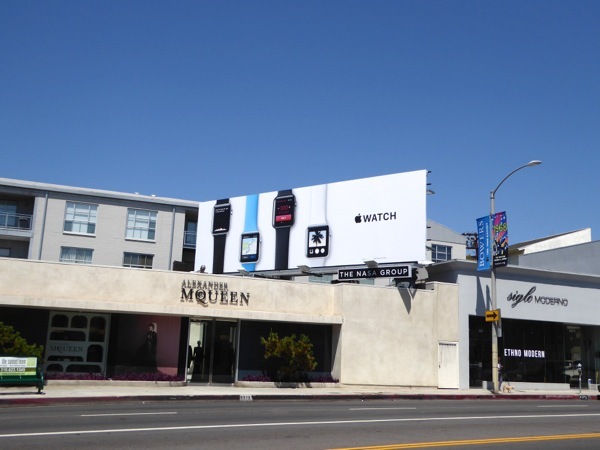 After months of the user-generated Shot on iPhone 6 ad campaign with all its stunning, scenic imagery, these new Apple Watch outdoor launch billboards return to familiar territory with the company's iconic white background to showcase the sleekly designed products, and are currently sharing the skies with these moody black and white Apple Music billboards, for Apple's new music streaming service. 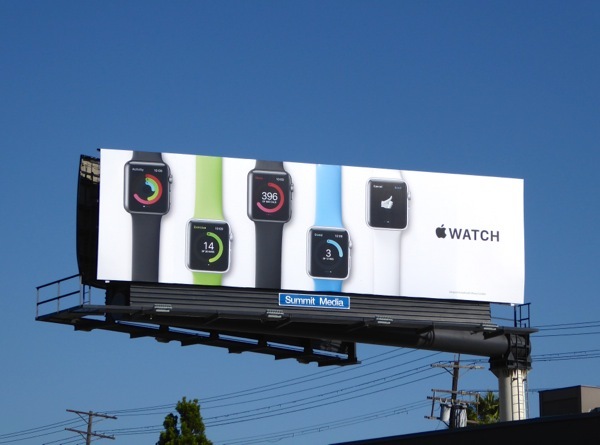 The high-tech watches come in three distinct collections, Apple Watch, Apple Watch Sport and Apple Watch Edition, varying in styles with cases from stainless steel to anodized aluminum and even 18-karat gold, plus with stylish bands in different colours and materials, priced from the vaguely affordable ($549) to the extremely expensive ($17,000), but all depending on your budget and fashion sense of course. 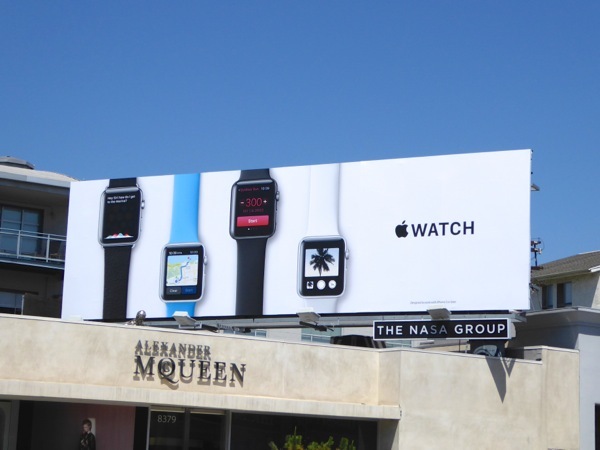 Not only do they tell the time (a mandatory requirement for a timepiece), but wirelessly connected to your iPhone you can use them to call and text, it can be used as a fitness tracker, to get notifications, buy things with Apple Pay and used for a whole host of other services and apps, all on your wrist. 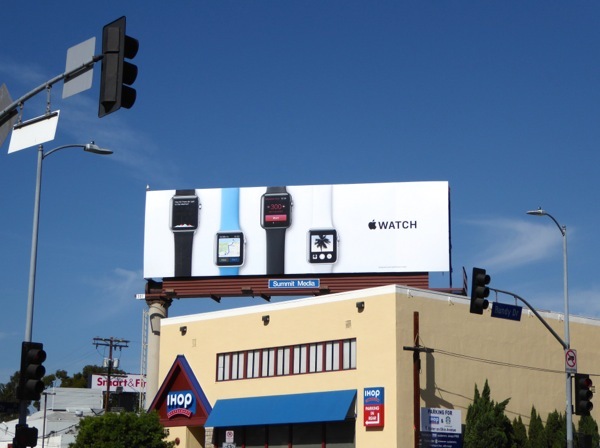 These Apple Watch billboards were photographed from August 19 to August 30, 2015 around the streets and skies of L.A., from Melrose Avenue to Pico Boulevard, Wilshire Boulevard to Bundy Drive. 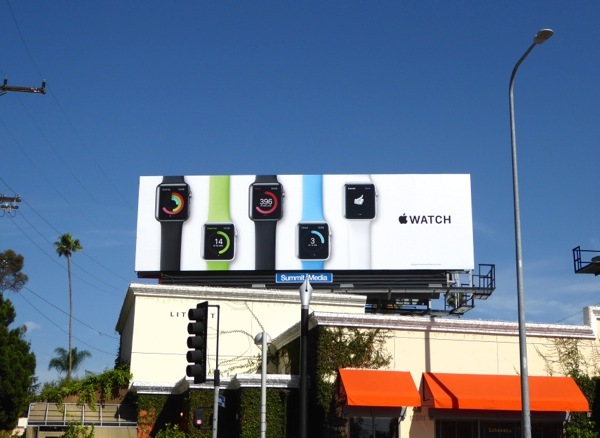 Are you ready to make the switch to Apple Watch? 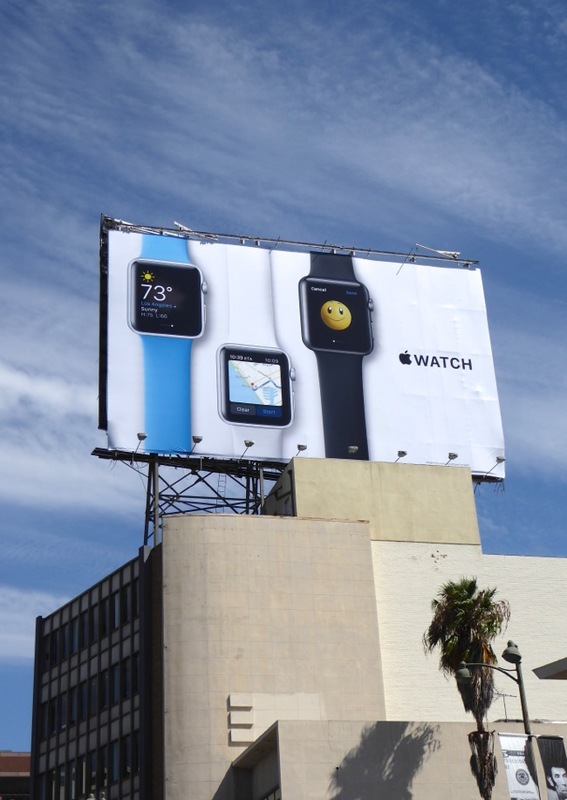 And more importantly do you have someone special enough to buy it as a gift for, or to ask to receive as a gift from?